Art Leidolf Estate Auction — Harritt Group, Inc. 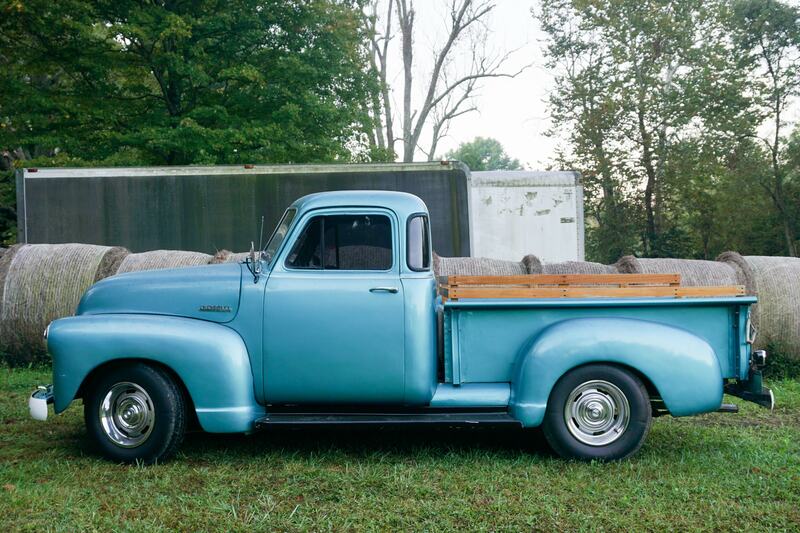 Selling onsite the lifetime collection of the Art Leidolf Estate including 1952 Chevy pickup, Ford 4WD diesel tractor, 2 Buick LeSabres, machinist tools & equipment, collectibles and household items. Held in large barn and under tents with plenty of parking. Auction located just East of Scottsville Road off St. Mary’s Road. 1952 Chevrolet 1/2 ton 5-window stepside pickup truck, 350 V-8, automatic transmission, Mustang II front end, Rally wheels & oakside rails, runs good. Ford 1720 4WD diesel tractor w/Bush Hog 2240QT front loader w/1423 hours, 8’ rotary 3-pt. mower, 16’ tandem flatbed utility trailer, homemade tandem trailer & (2) 24’ van truck bodies used for storage. 2001 Buick LeSabre w/147K miles & 1995 Buick LeSabre w/197K miles. Jet model JMD-18 drilling milling machine, older South Bend 88-0 metal lathe w/6’ bed & 15” swing, vintage drill press, older Craftsman metal lathe, Craftsman drill press, small Sears metal lathe, M&M portable metal bandsaw, 10-ton press, Campbell Hausfeld Professional 10HP 220V air compressor, Craftsman table & radial arm saws, Craftsman tool chests & boxes, large selection of Craftsman tools, Miller Thunderbolt welder, large selection of hand, yard & power tools, floor jacks & stands, old drain tank, step & extension ladders, rolling warehouse ladder, scrap iron, work benches, shelving, chains, booms, machinist tools, (2) 60” x 48” dumpsters, warehouse cart & dollies, bench grinders plus contents of pole barn and workshop. Forward Lift BP9 two post 9000lb car lift, Serial# NAD10G003 (must be removed by buyer in workmanlike manner). 1960’s Cub Cadet 100 in running condition w/mowing deck & cast iron grill. Vintage wood top industrial work table, 5-gallon stone crock, (2) stone jugs, (2) Potters Dairy bottles from Georgetown, IN, (2) Purity Maid bottles, vintage Falls City & Sterling bar signs, E.T. Slider New Albany thermometer, Kiger Co. & Trailmobile round thermometers, (2) large aluminum kettles, (2) round bottom bushel galvanized tubs, spittoon, small porcelain Allis Chalmers sign, Floyds Knobs Conservation & Hunting Club patch, stop sign, vintage Coleman lanterns, leather horse saddle w/stand, vintage warehouse hand truck & more. Square oak dinette table & chairs, oak china cabinet, oval Tell City dining table w/6 chairs, T.V. armoire, refrigerator, 6-drawer chest, oak dresser, maple kneehole desk, Purina horse weight tape, ladies watches, whiskey decanters, kitchenware, seasonal decor & many common household items. Hwy. 150 or State Street to Paoli Pike to Scottsville Road. North 3/4 mile to right on St. Mary’s Road, short distance to right on Spickert Knob Road to auction on right.